Comes with dimmer. Max 40W. G9 Bulb. 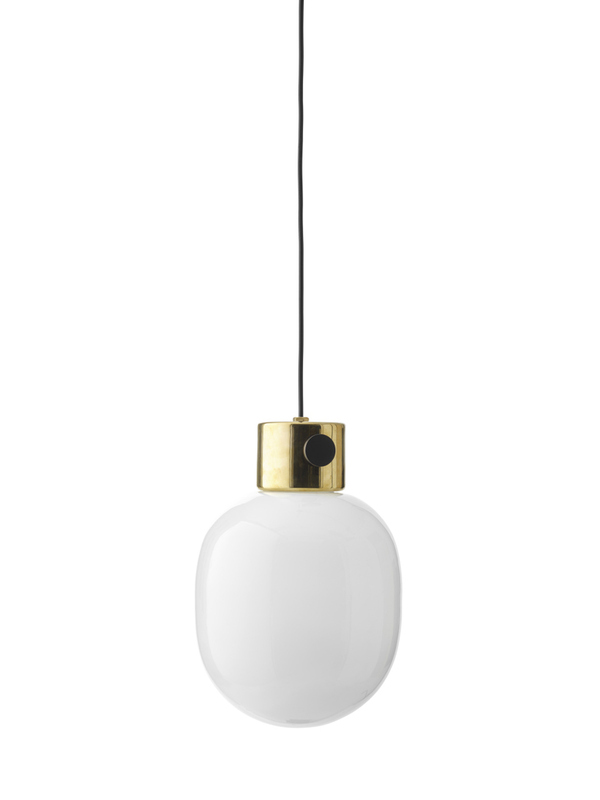 JWDA pendant is part of a series of lamps inspired by traditional oil lamps. 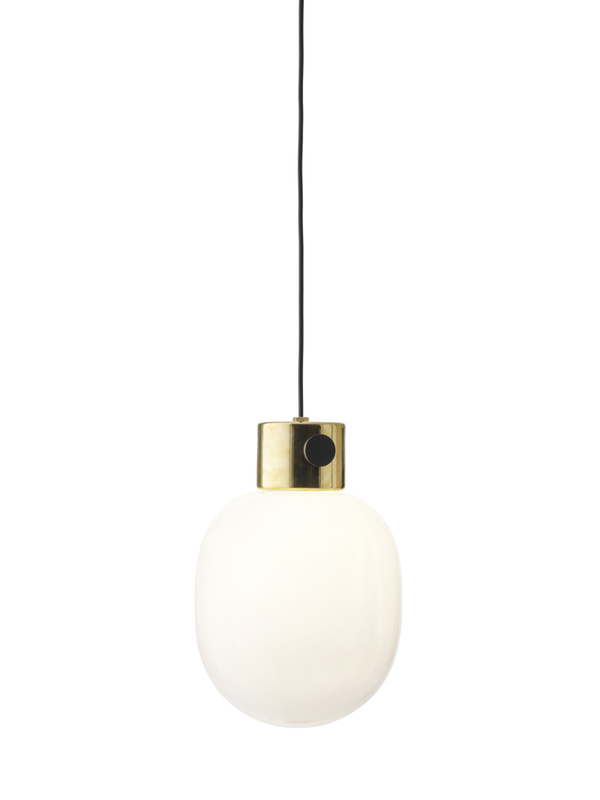 The lamp is made from honest materials – concrete and brass – ennobled by the refinement of its design. 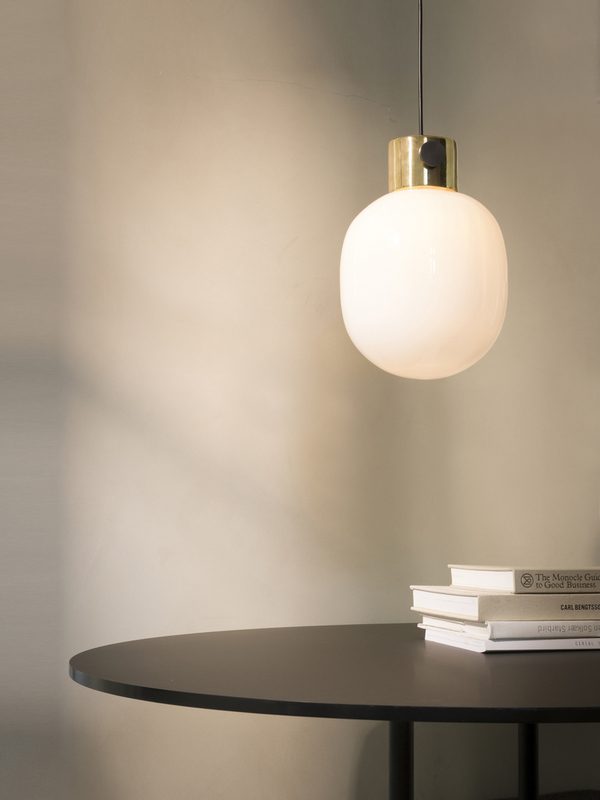 Sim- plified and reduced of clutter to its essence, JWDA is minimalist lamp – but with a strong character. It roundedness expresses warmth and friendliness. 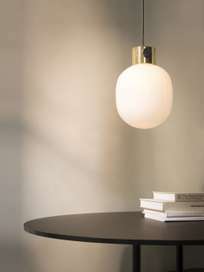 The lamp represents a study in the contrasts between the raw character of the concrete, the delicate glass and refined brass. Unusually for a pendant lamp, JWDA features a dimmer switch on its base, a practical function that makes this a perfect pendant to hang over a dining table or office desk.